A photograph of Beestons Garage on the Bonlea Trading Estate which used to be Thomas Allen Founder. The bus on the right was bought off Pondarosa Coaches, Fishburn and sold to somebody in Preston. 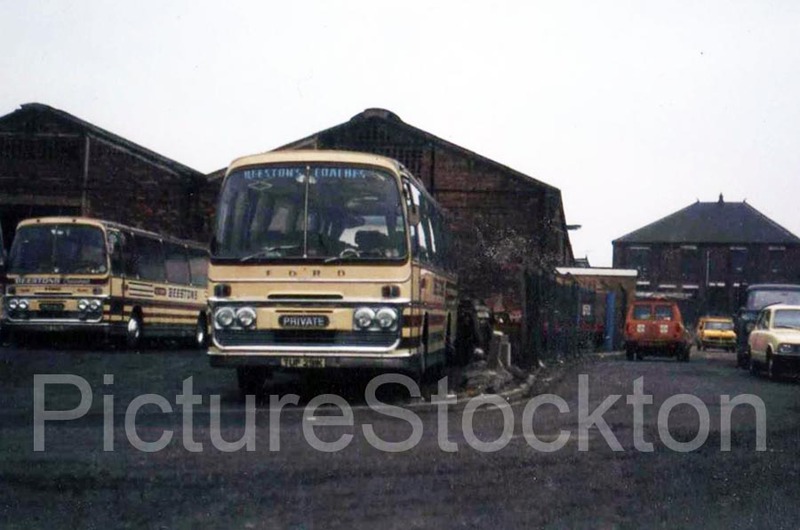 The bus on the left was bought from Abbots of Leeming Bar. Photograph and details courtesy of John Beeston. This entry was posted in Railways and Transport by Picture Stockton Team. Bookmark the permalink.